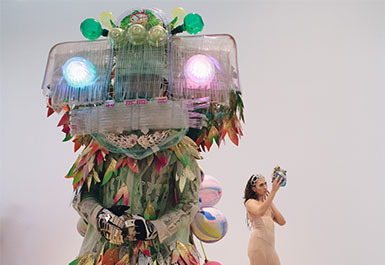 Danie Mellor's multidisciplinary practice often engages with the exotic, the uncanny, and intersections between cultural knowledge systems. 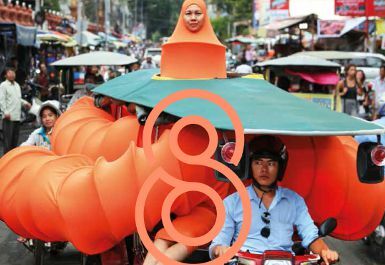 Our relationship with the 'otherness' and mystery of the natural world is a focus for the work developed for APT8. 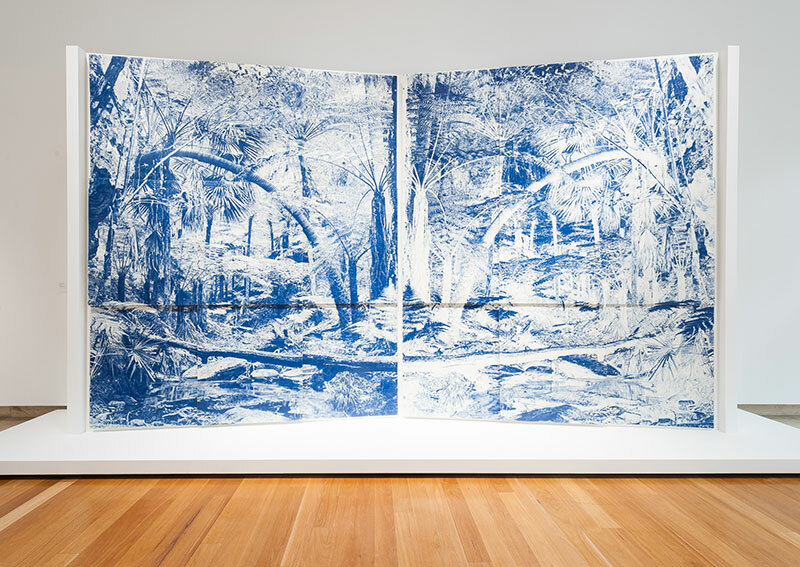 A scene from the Queensland rainforest, the work is divided: one half is a positive rendition of the landscape - day-lit, familiar. 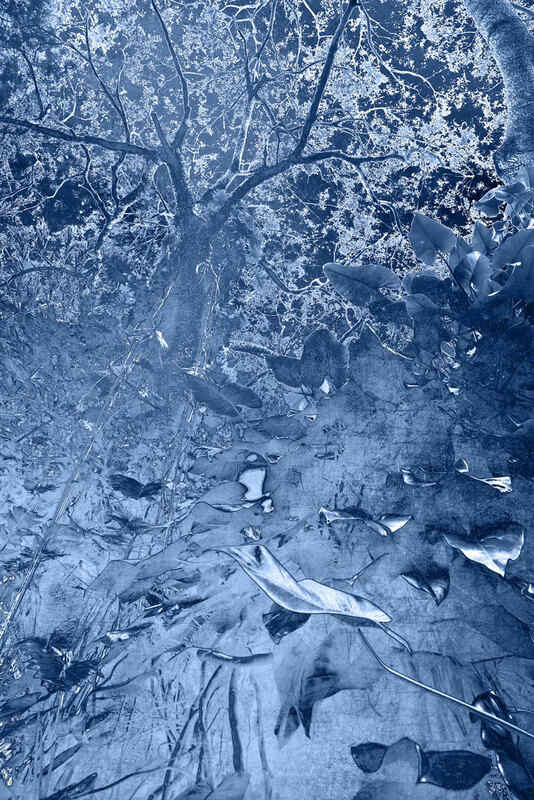 The mirror image is inverted and solarised, an allusion of ghostly presence and mystery. It is at once resonant of landscape and Country, articulating concepts of locality, but it is relational, belonging properly to the world - the 'blue planet'. Facing the monumental landscape is a curved multi-panelled work in solid blue, merging positive and negative image fields to create an immersive void. 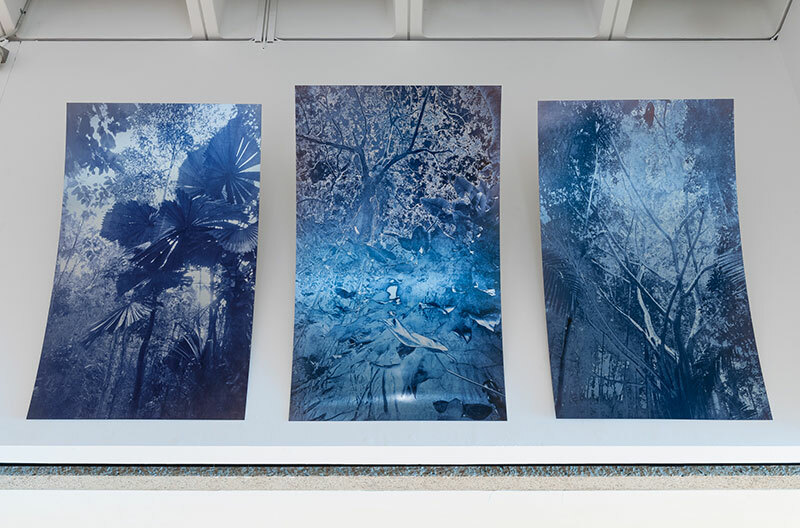 Through the refractive mystery and vitality of the colour blue, the relationships between these enveloping panels and series of accompanying photographs recalls the metaphysical space of Yves Klein's void, and the curved model of the universe proposed by Einstein. 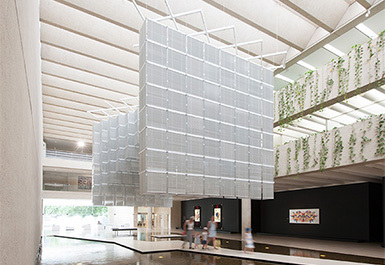 Mellor's new work establishes connections between the agency and power of the landscape, and the 'things' of our ecology and world. 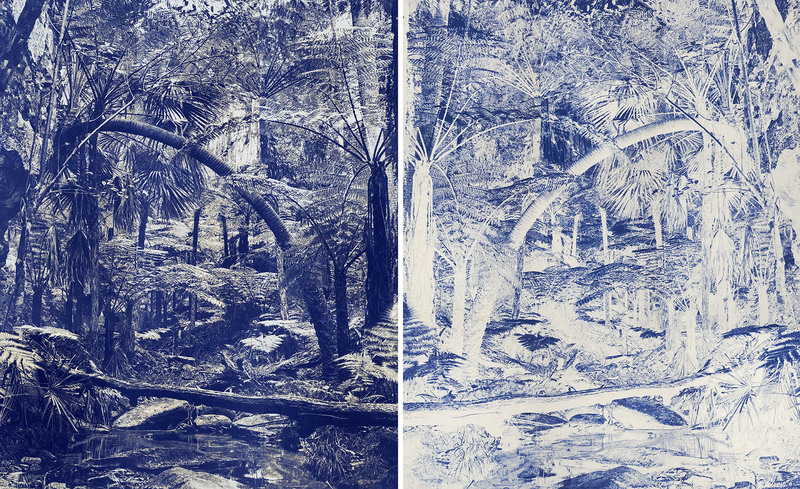 Danie Mellor, Mamu/Ngadjonji and Anglo-Australian heritage, Australia b.1971 / New Materialisms (anticipating Girrugarr) I – V (detail) 2015 / Photographic prints on aluminium / Courtesy: The artist and Jan Murphy Gallery, Brisbane / © The artist. Danie Mellor's work installed in APT8.